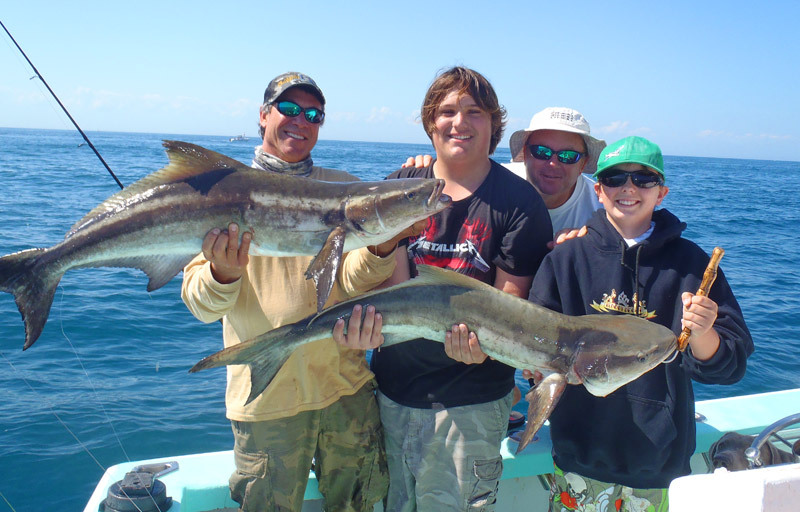 Cobia: Although they’re not acrobatic like sailfish and they’re not beautiful like the mahi, the cobia is one of the front runners for fish sought after offshore of Port Canaveral and much of the east coast all the way up to Delaware . 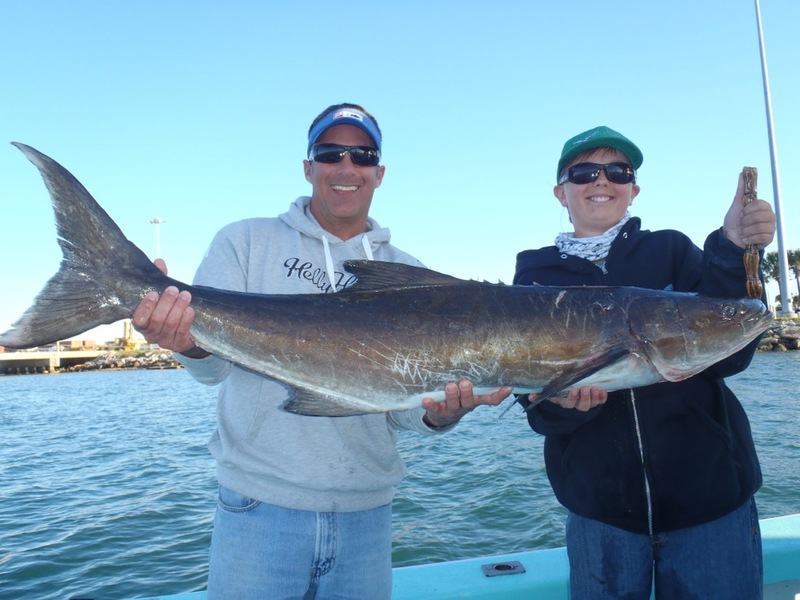 The cobia’s lack of beauty may be what causes them to be some of the hardest fighters in the ocean, sometimes rivaling the brute strength of the amberjack. They look like a cross between a shark and a catfish, leaving them in a class by themselves. They are a class of their own in the kitchen too. The meat is white, firm and delicious. It can be cooked almost any way possible and remains delicious. 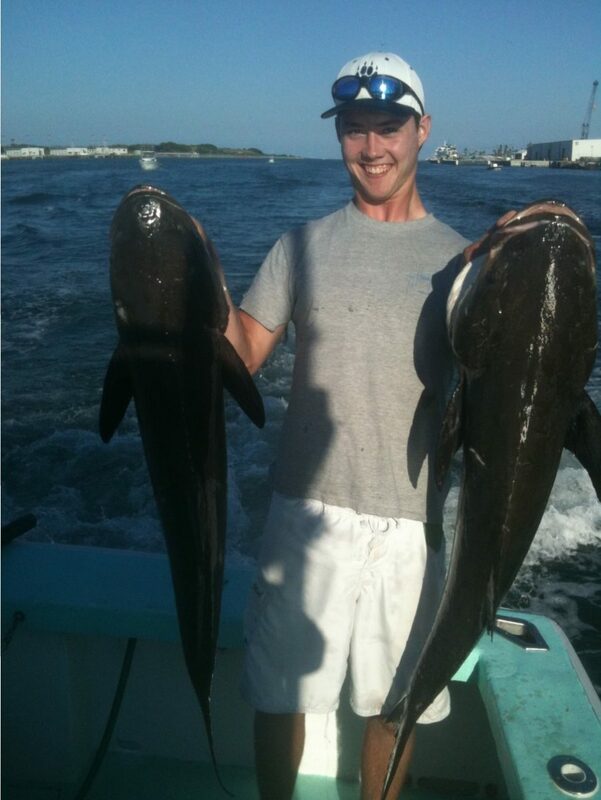 Cobia Fishing Tips: The cobia is one of those fish that can be caught by a variety of fishing methods. Certain times of the year, they can be caught by sight casting. Sometimes they may be trailing manta rays and turtles, sometimes they may be free swimming in packs or alone. 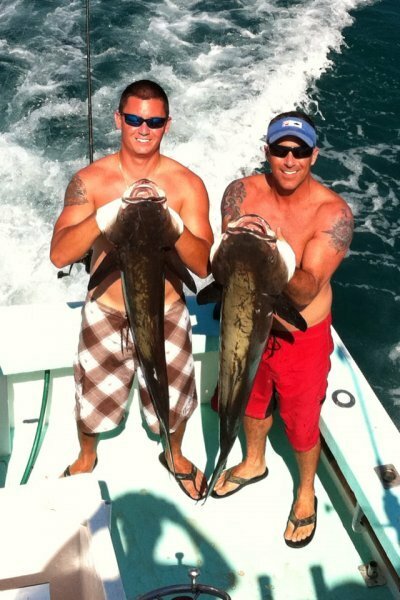 Other times, they are caught slow-trolling live bait on the reefs and wrecks. 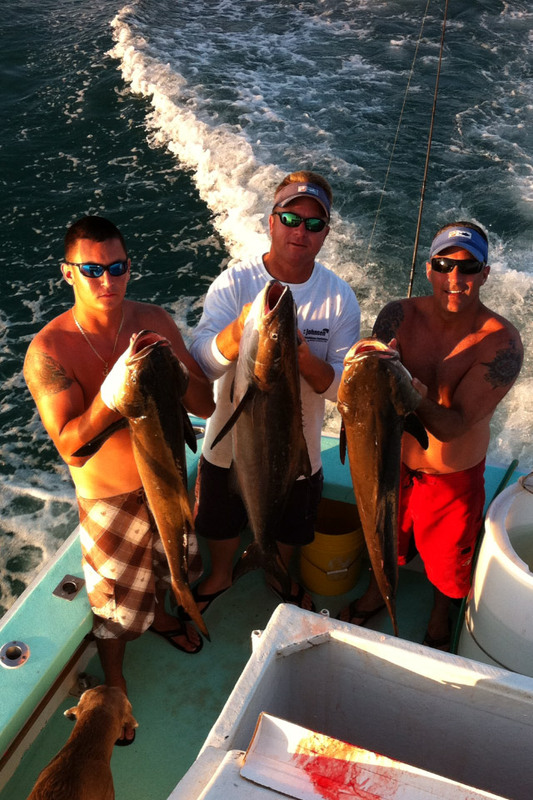 They can also be caught while bottom fishing for grouper and amberjack. 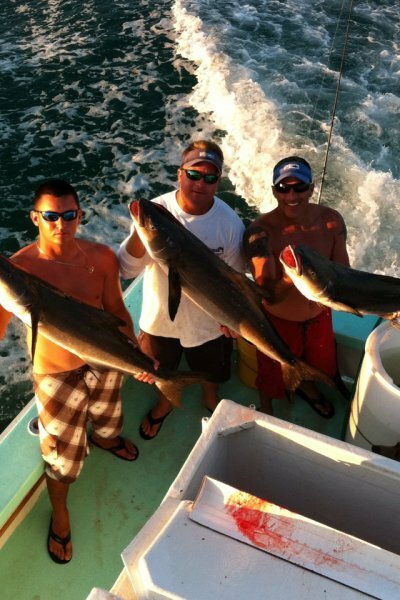 The best is when they just swim up to the back of the boat, like a dog at the back door of the butcher shop.